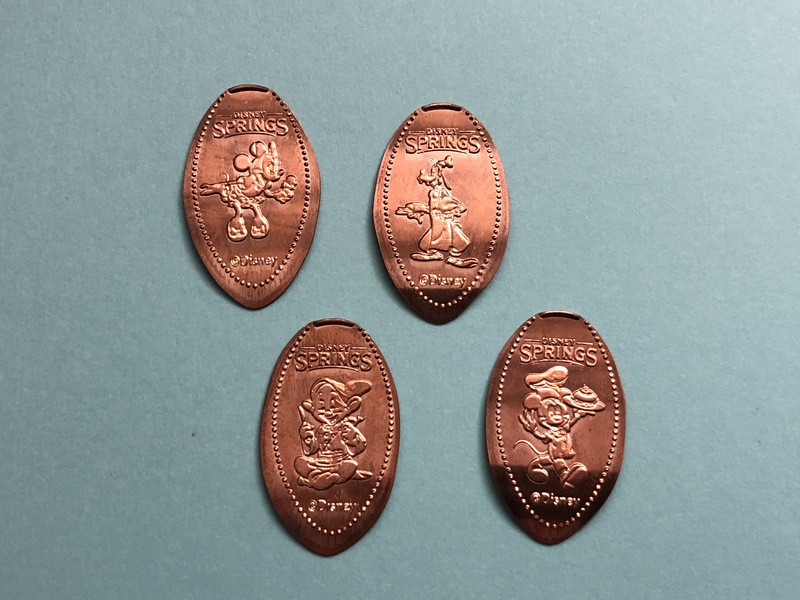 Fresh off the new release of the 2018 dates set of pressed coins Disney didn’t waste much time getting out another new set of pressed pennies. 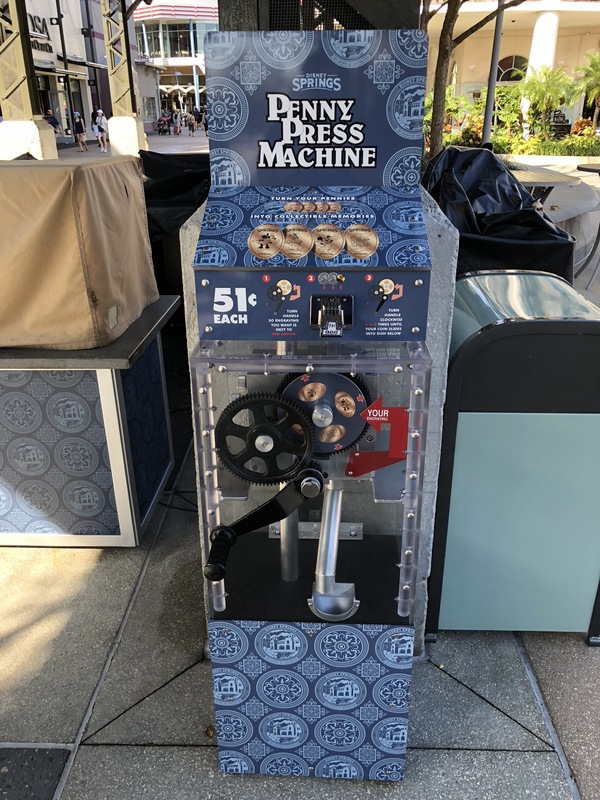 The new machine can be found over at Disney Springs which seems to be a popular spot lately for new machines. Over on the West Side is where you can find the big AMC movie theatre, Cirque du Soleil theatre, a Starbucks and some other interesting stores and restaurants. This area is under quite a bit of construction right now with the recently demolished Disney Quest building making way for a new NBA Experience, and some other new restaurants. 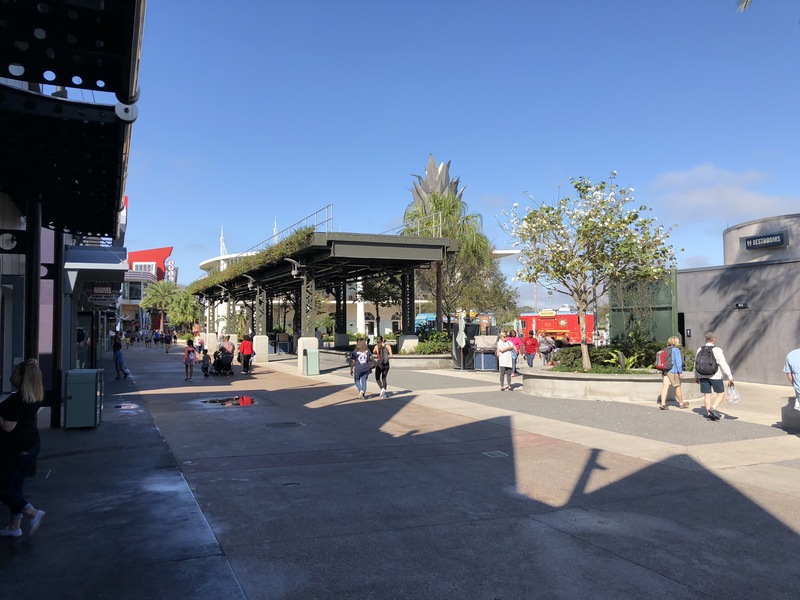 Just past the Starbucks and across from the Star Wars Galactic Outpost and Marvel Superhero Headquarters is an open area just along the water front. 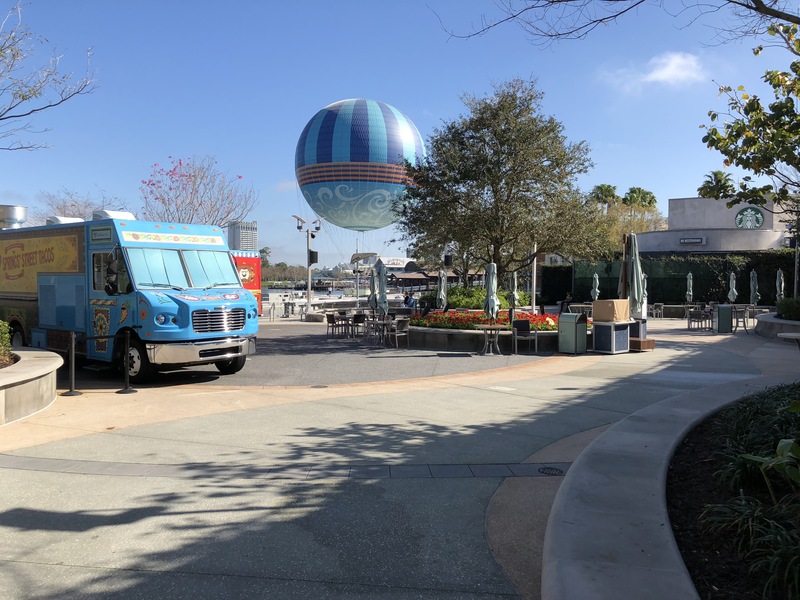 This area is where you can now find the Disney Food Trucks. 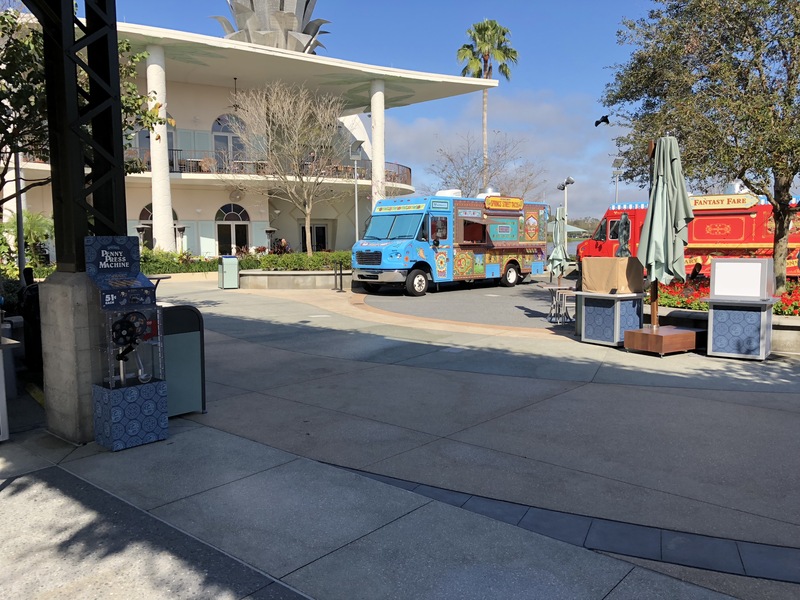 Usually there are three different food trucks here but lately only two have been available with the third one on the move around property. 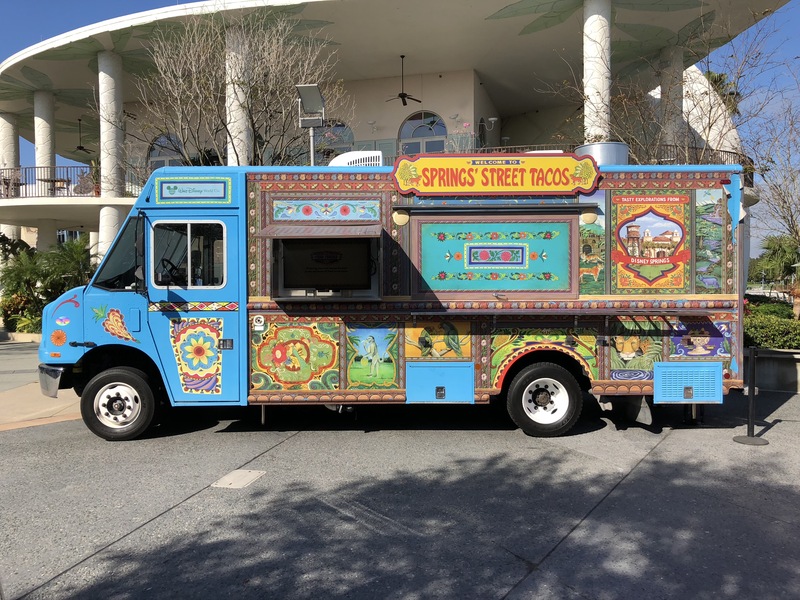 The Springs Street Tacos obviously has various tacos for sale. 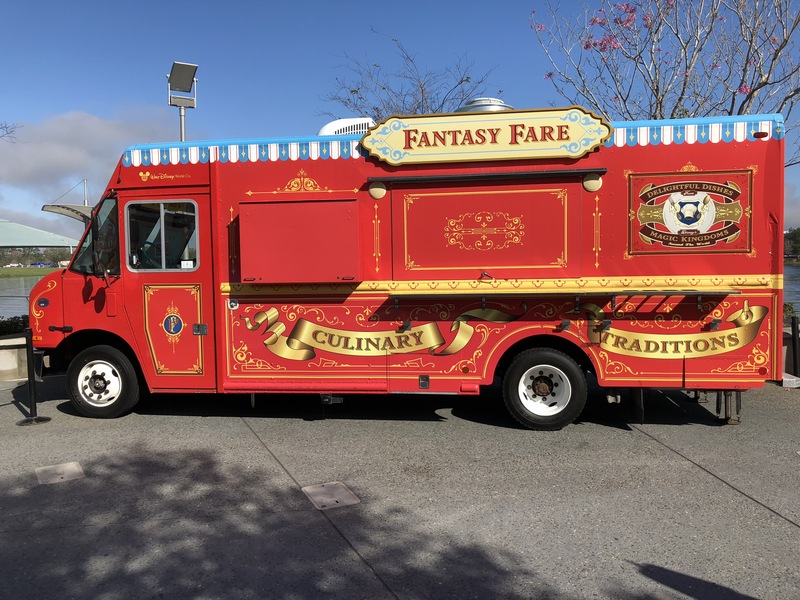 The Fantasy Fare truck has things like empanadas, chicken taquitos, and Mexican meatball sliders. This area also does have live music later on at night and can get quite crowded with spectators. 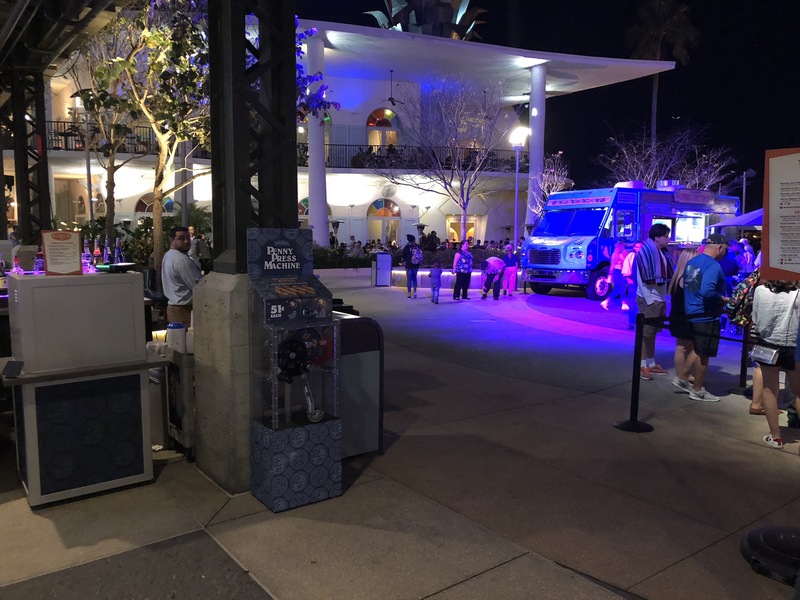 If you are walking along the main pathway you will see the penny machine just to the center entrance to the Food Truck Pavilion. The machine has some nice artwork on the cabinet. 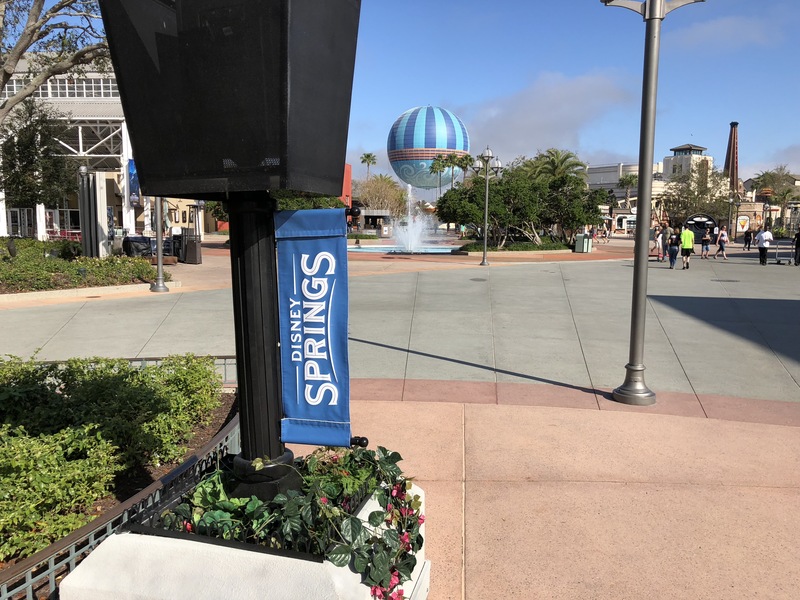 The design is of the Disney Springs logo which I think is pretty cool. This is a cute unique set of pennies that I hope they continue releasing. The set includes images of Minnie eating an ice cream cone, Chef Goofy with a Turkey, Chef Mickey with a Sandwich and Dopey Dwarf eating Cake. With the recent changes to Disney Springs and the massive amount of new restaurants now available these coins just fit right in to this area. Above is a picture I took of the machine at night which you can see the area does get busier, plus there is a mobile bar right beside the machine which usually has a long line. This can cause a little congestion around the machine but people are usually nice to step aside if you ask to use the machine. As I mentioned before I really like this set and think it’s a great new addition to anyones collection. Hopefully they continue on this pace of releasing some more creative designs like these ones. Side note, if you are visiting Disney Springs make sure to check out some of the new restaurants they really are great. A few of my favorites are Art Smith’s Homecomin’, and Maria & Enzo’s. Enjoy! 2. We Need Pandora Pennies! I’m completely in agreement. I’m hoping for some nice new penny designs in Toy Story land and thankfully we don’t have much longer to wait just a few months away. I wish I could say I was surprised that there were no Pandora pennies but have a feeling James Cameron probably had something to do with that. I know over at Universal Studios it’s the same with Harry Potter as there are no pennies for that Intellectual property. Crossing my fingers maybe Pandora pennies will come at some point in the future maybe after the Fox merger goes through. I also did a contact a year or so ago and asked people what other Disney designs they would like to see and there were a lot of great ideas like ones about the different snacks in Disney (Turkey Legs, Dole Whip, Mickey Bars) or special designs for the Festivals (Food and Wine, Flower and Garden) and even cooler would be ones for the Mickey’s Not So Scary Halloween Party or Mickey’s Very Merry Christmas Party. We will have to figure out a way to make some suggestions to the Disney penny makers. Thanks again!